The evenings are warm now. I delight to go outside in the evening and revel in summer’s pleasantries. There is something about being outside in the warmth of the night that makes life seem to run right. 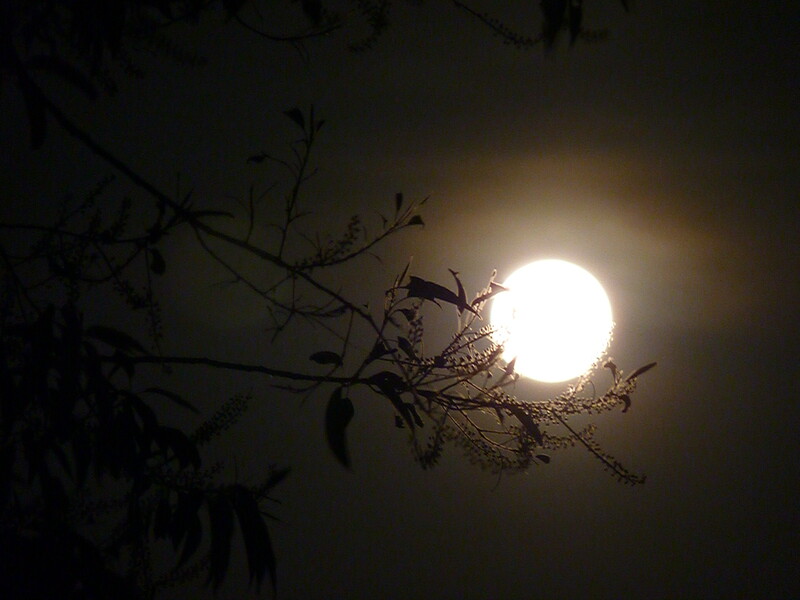 Gazing at the moon through the trees holds a kind of mystery. As I watch the moon roll off the tree limbs I remember when, as a young boy, I would gaze out the window on a moonlit night and dream of the future. It is now the future and I dream about the past. I didn’t have much wisdom back then, but one thing I thought I knew for certain was that it was better to be older. The only thing that I know now for certain is that my future is bright. It is bright because God holds my future in His hands, and the moon is still at the same place it always has been.